Claudio quietly opened the door and peeked in. He heard Clara sniffling as she sat on the side of the bed and stared down at her phone. Clara choked out a laugh and shook her head. She hadn’t told Claudio about the remark her Father made just as he left the house. He didn’t know him like she did. He didn’t know the things he was capable of. Claudio snuck around and sat down on the bed beside Clara. He took her hand and kissed it. The day of the dinner Clara went downstairs and grabbed leftovers for breakfast. 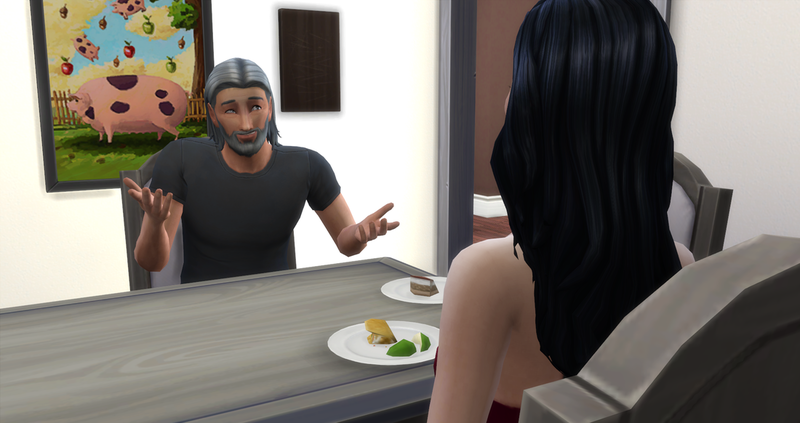 She noticed Mason sitting down with a plate of tiramisu at his side.